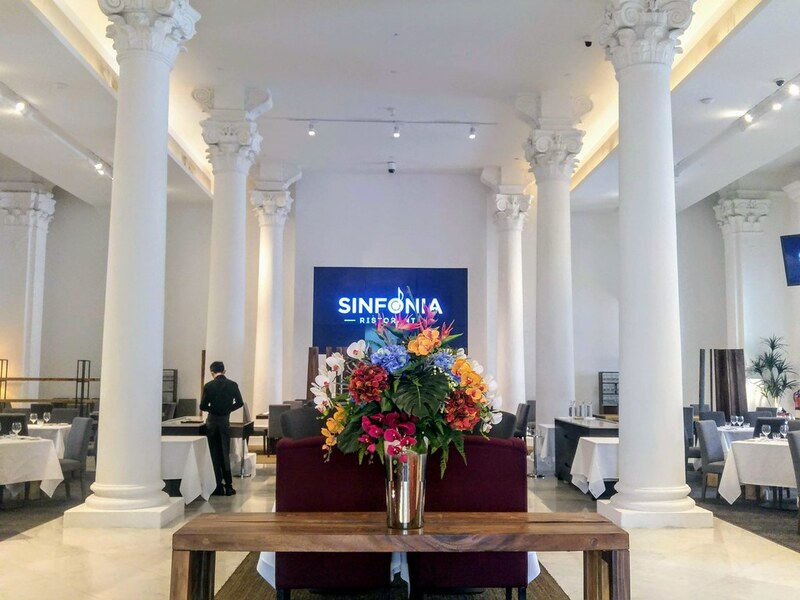 With its high ceiling and towering Corinthian columns, embedding a history of 150 years, Sinfonia Ristorante at Victoria Concert Hall is immense at first glance. To conquer such a space, perhaps only Sardinian-born Chef Simone Depalmas with his big personality and infectious laughter, is able to do that, in his illuminating green chef coat. Formerly FOO’D By Davide Oldani, the restaurant is rebranded to mean 'symphony' in Italian, giving Chef Simone the autonomy to design the menu himself. 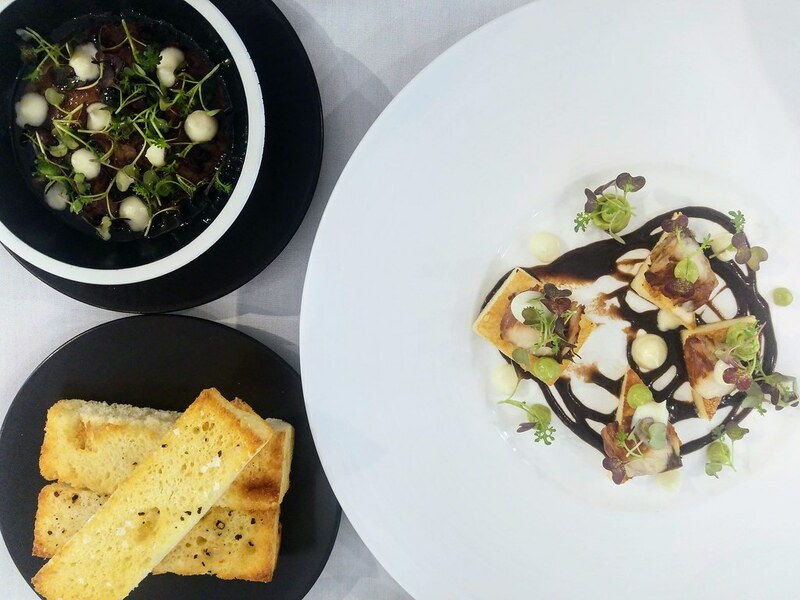 You can expect bold, yet delicate flavours that are inspired from different regions of Italy and put together based on his 21 years of culinary experience. 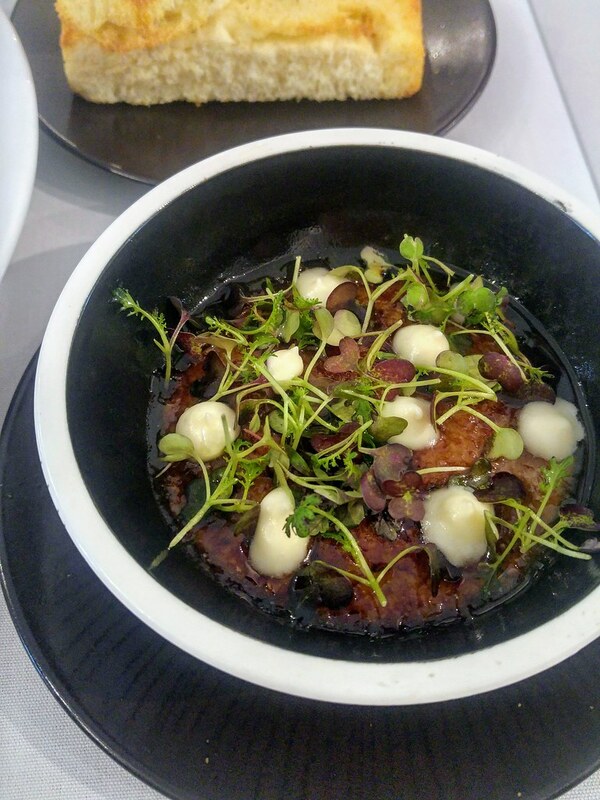 Truffle Chicken Liver Brulee ($26) is what I meant by bold. 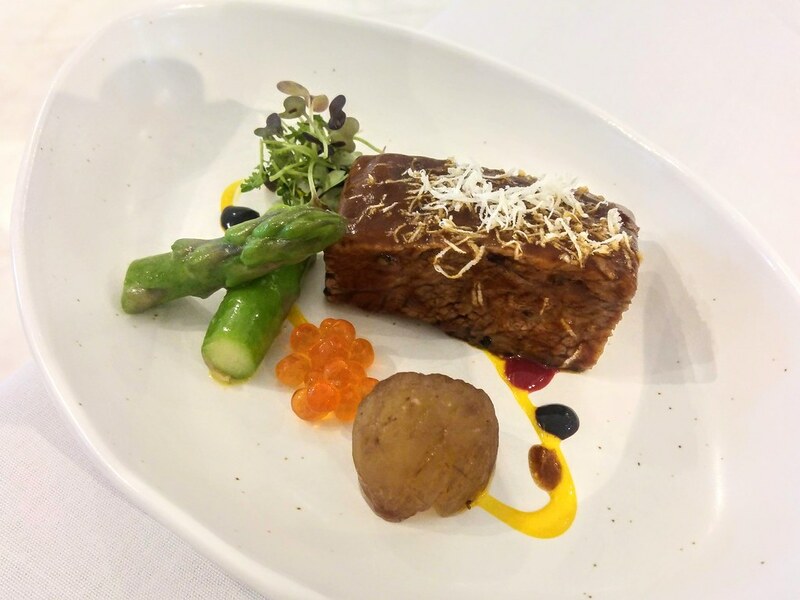 To balance the rich flavours of the liver, Chef uses several different wines, including Madeira wine, Port wine, Marsala wine and even Chinese wine. It kind of reminds me of red wine chicken when wine is used to work magic with the beautiful juices seeping out from the skin and meat. 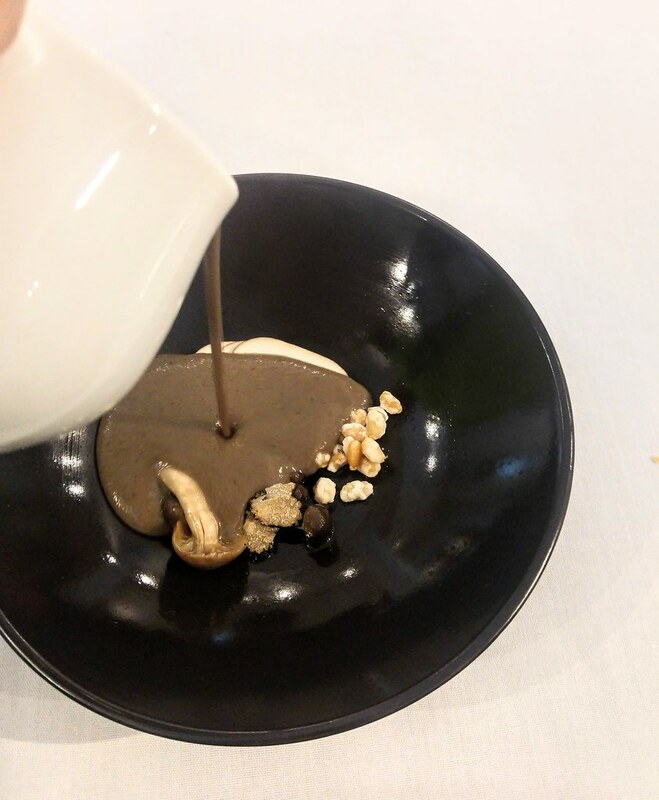 Adorning the mousse are black truffle from umbria, leek mousse and minty local herbs. The idea of presenting it like a crème brulee is baffling but as you crack the sugar coat, spread it on the roasted focaccia and you know it works. Smoked Mackerel (Available in Lunch Menu) comes in bite size served on roasted polenta. The polenta is dense but soft. This tartine is full in texture and flavour-packed with savoury and smokey nuances. 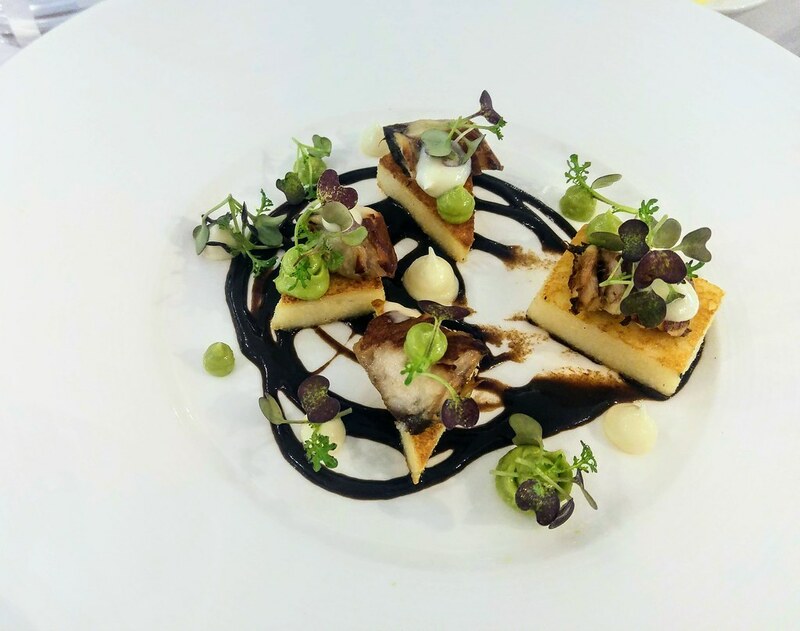 Topped with dill sauce and avocado gazpacho, they infuse a lift to the dish, while the plumy black garlic sauce adds a layer to the taste and draws the components together into a piece of artwork. Soon you will see the dishes here are just as aesthetically pleasing as the surroundings, such as this Rice Roll. 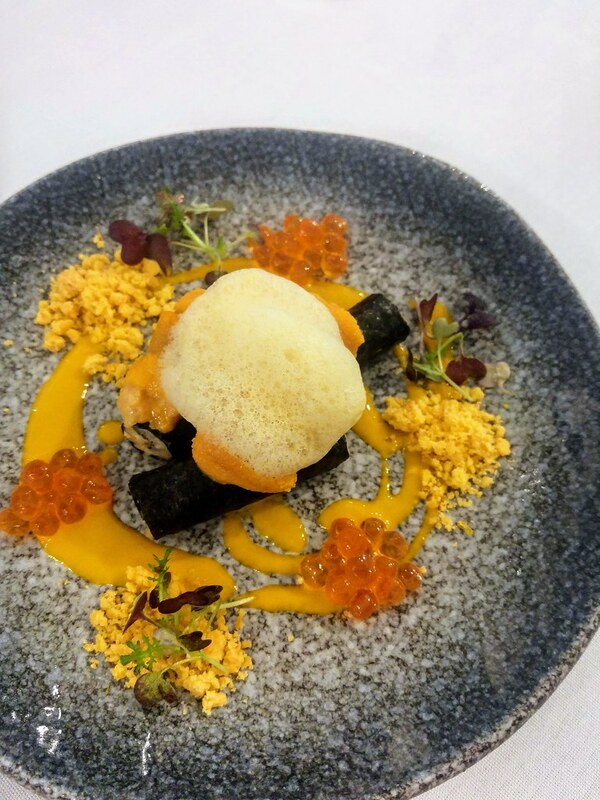 Sardinia is all about the sea and here you have a rice roll wrapping Hokkaido sea urchin, Alaskan king crab, Japanese rice (Available in Lunch Menu with a top up of $10) accompanied with tomato crumble, piquant sea urchin sauce and clam foam. Nothing is too empowering, allowing the sweet and delicate flavours to seep through and bind with another. Easing the stomach before the mains was the Mushroom Soup ($18) made with a blend of 6 different mushroom varieties. No cream and butter, what you are savouring is the taste of nature. Rich in taste and mouth fill, the sautéed sliced mushrooms elevate the taste while adding some texture and bite. And just before it gets too much, the candied pine nuts pulls it back with its nutty sweetness. 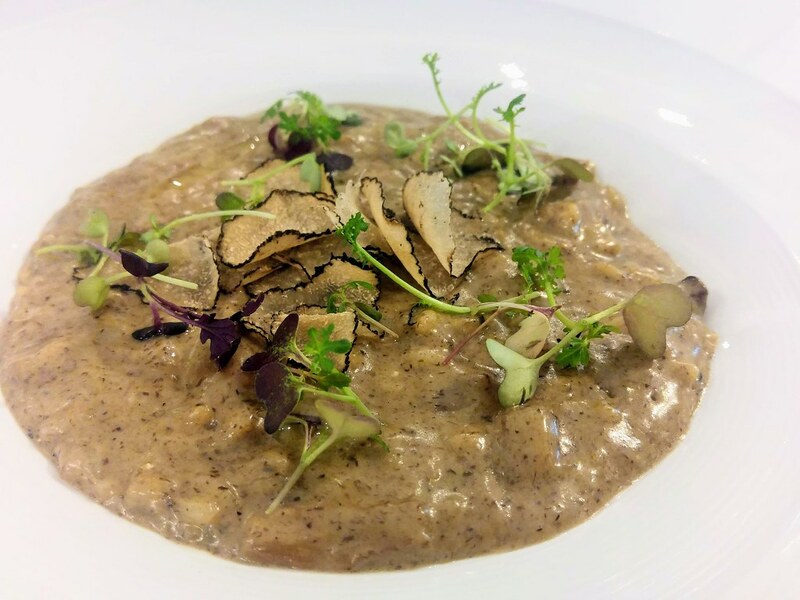 If that level of shroom intensity is not enough, Porcini Risotto ($28, Available in 5-course & 7-course Degustation Menu) made using fresh Porcini mushrooms from Italy may seal the deal. The rice I had was evenly cooked with a nice chewiness. Just look at its color and you know it's truly a gourmet mushroom dish. 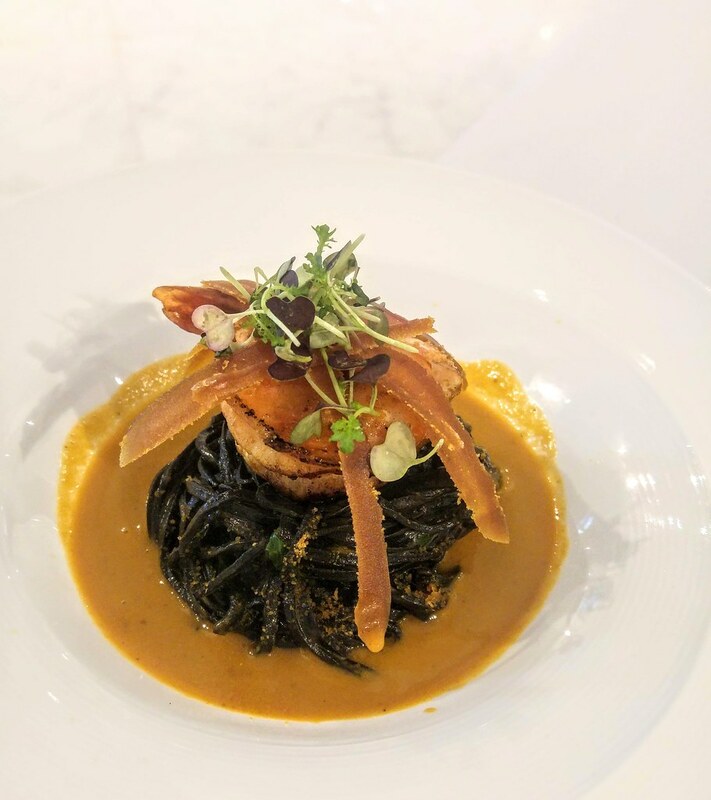 Hand-made Squid Ink Tagliolini ($34) again showcases the flavours of the Mediterranean sea. Freshly made in the kitchen daily with real squid ink, the tagliolini is loose and light. The lobster sauce is so welcoming on the palate that even without the king prawn and bottarga, I believe one could easily finish off the pasta. I always thought that frog leg dish is a very Asian food, till I came across this Frog Leg ($36) in Italian tempura style. Apparently, frog legs are very popular in French cuisine and the French species are fleshier as compared to her counterparts. 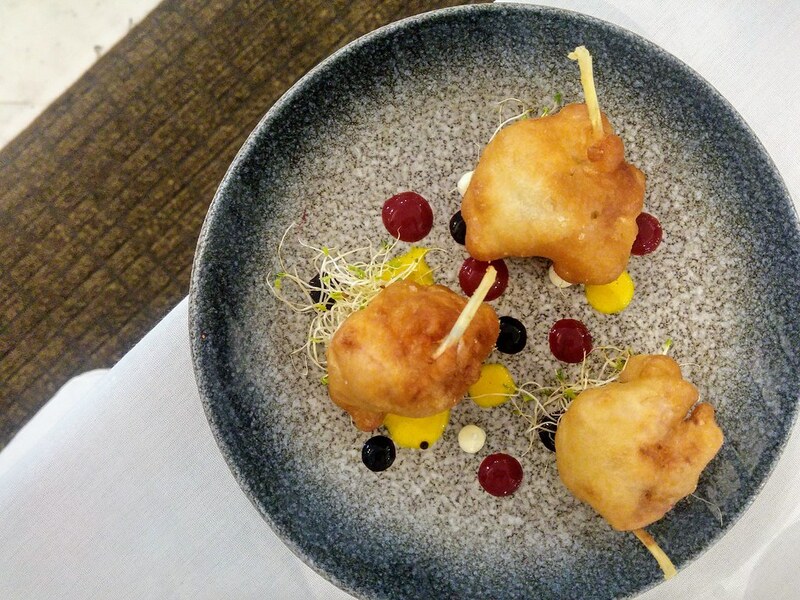 The refreshing sauce made from milk, vinegar and lemon brightens up the dish, along with the tangy berry and passionfruit sauces that add tartness to it. How much more elegant can it get to consume frog legs in such a manner! One may easily mistaken this Beef Short Ribs (Available in 5-course & 7-course Degustation Menu) as beef cheek. Marinated for 6 hours, then slow-cooked for another 12 hours, the USDA Wagyu Beef is soft and fork tender. I love the sweet chestnut at the side which I find rather appetizing to have it in between the meat. Served on the artsy beautiful pattered plate is Cod Fish ($44). The fish is rich and buttery, with the top seared to a slight crisp. 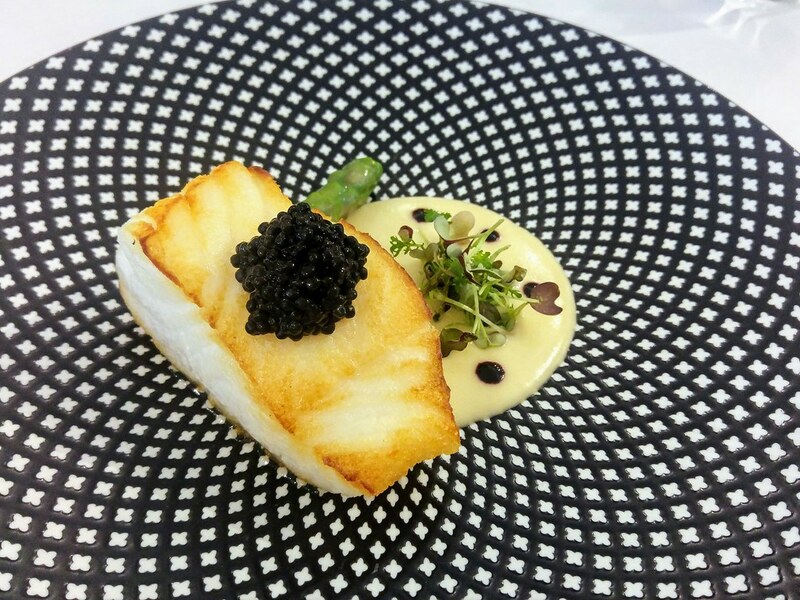 The smoked caviar atop teases out its sweetness and milky flavor. While the butter lemon sauce doesn't quite complement the meaty fish, the tart berry drops in the sauce manage to lend a level of zest to the dish. Summing up the meal were two desserts, both equally delightful. The first is the Passionfruit, Raspberry Meringue and Rose Lychee Sorbet ($18). 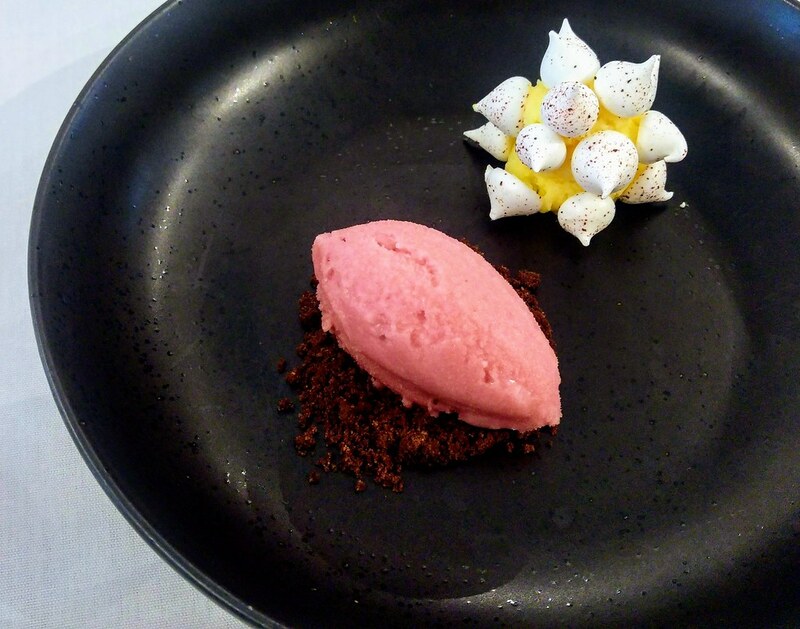 Its essentially passionfruit curd paired with raspberry meringue, accompanied by a rose lychee sorbet with chocolate crumble at the bottom. 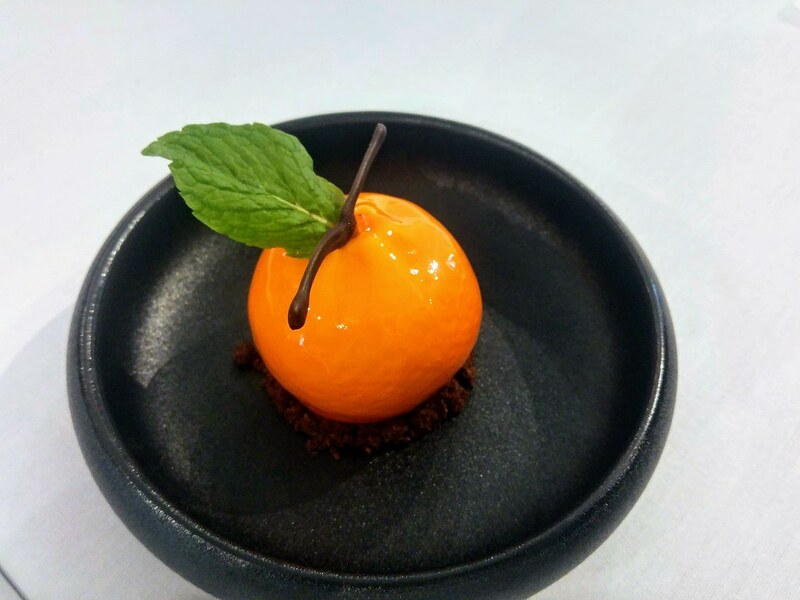 The rose flavor adds a depth to the lychee sorbet, be it colour, fragrant or taste. 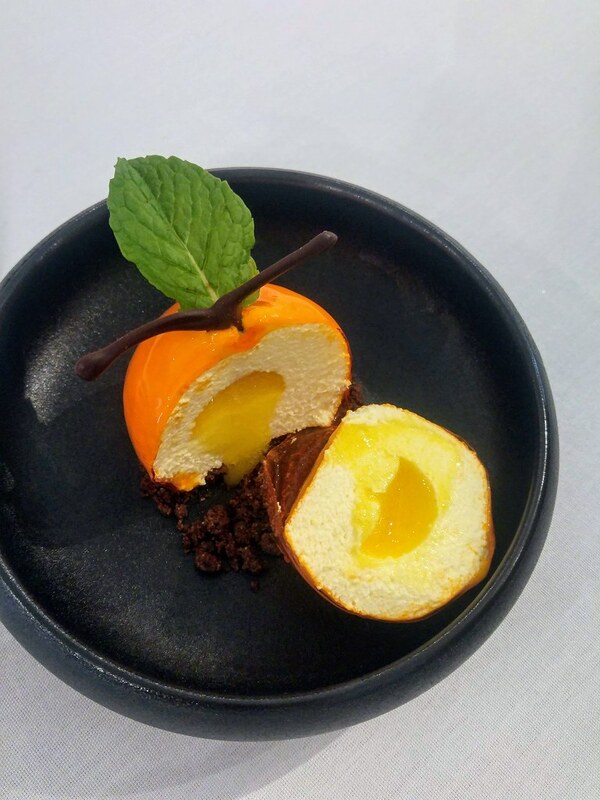 The Mandarin ($18) is simply a 'orange' filled with mascarpone cheese and fresh orange juice, delivering a joy far beyond its 2 ingredients. To be free from the reins of previous branding, it must have been a joy and relief to Chef Simone. To be able to allow his creativity to flow and eventually get translated onto the table, with each and every dish exuding his personality and thoughts.